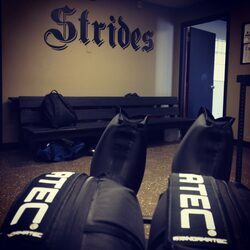 Strides of CNY, LLC was established in 2003 with one mission… improve athleticism! 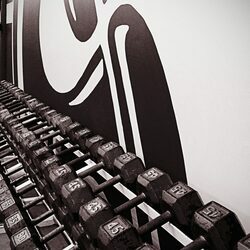 The movement started in the the Summer of 2003 with a few young hockey players, a small facility, and a few weights. The boys saw results within weeks and the word was out! Each passing year, the clientele grew and the company continued to enhance the programs. The Strides movement quickly gained a reputation for success and established its self among other sports and genders, not just boys hockey. These sports include but are not limited to lacrosse, soccer, basketball, football, rugby figure skating, crew, wrestling, tennis, softball, baseball, track & field, volleyball, cross country, field hockey, gymnastics, cheer, and mixed martial arts.The movement also continued among the adult population... college students, young professionals, mothers, fathers, coaches, and the Syracuse SWAT team. Soon "EVERYONE" was looking for the "EDGE" that Strides delivers! As our clientele increased so did our facility in regards to space, "specific" programs, and equipment. 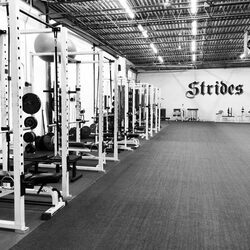 Keep in mind, Strides is UNLIKE any other gym or "fitness center". 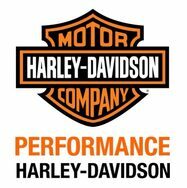 We provide a service that no other facility can offer. We are passionate about providing an exclusive experience, catering service and guidance to real people. We offer a full line of the most innovative programs. While they remain science base, motivating, and successful for both adults and athletes, we take the guess work out of reaching quality results. Our programs are balanced, functional, fun, and rewarding. PERFORMATHLETE is "specifically" designed for a variety of athletes. Our clientele is among the area's elite. Comprised of youth, high school, college (Division I, II, III), and professional athletes. We have the most innovative training system in the area that delivers results! PERFORMATHLETE strongly emphasizes improving an athlete’s strength, power, and speed. Athletes will develop quickness, agility, balance, core, mobility, and enhance "sport-specific" conditioning like no other. Proper sprintining techniques, biomechanics, and increasing an athlete's first 2-3 steps are incorporated. Individual athletes and teams can greatly benefit from our strength & conditioning programs. Not only will your athletes be in top cardiovascular shape for the start of the season, they will also be stronger, faster, and more explosive. PERFORMWELL is designed to progress with each client’s quality of health and wellness. We have a large adult clientele that includes college students, parents, coaches, and members of Syracuse's finest. PERFORMWELL includes Exclusive and Standard training designed to fit around your lifestyle. 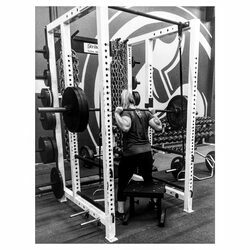 With a variety of ‘unique’ equipment we create a training session unseen at any local gym or "fitness center". Our atmosphere, facility, care, and exercise/nutrition knowledge allow you to reach your goals and beyond. So whether you are an athlete or an adult, register now and “Join the Movement” to improve your athleticism, quality of life, and to be in the best shape of your life… Guaranteed! I am a Strides Affiliate. 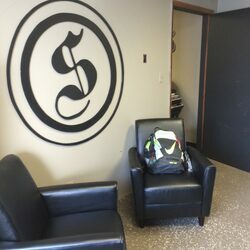 I am a Strides Strength Coach.